With just under 300,000 residents, Amarillo is definitely bustling. Visitors to this Texas town are greeted with the Cadillac Ranch, the Panhandle Plains Historical Museum, Wonderland Park, and Palo Duro Canyon. The huge variety of sights to see makes Amarillo a favorite place for anyone vacationing in Texas. When a sudden dental emergency strikes, Amarillo is also a great place to find a new holistic dentist. The variety of dental services and clinic types available in Amarillo make it easy to find the exact dentist that you need for your particular dental problem. The Emergencydentistsusa.com website is always available when you need a great holistic dentist quickly. Log onto our easy-to-use website and scroll through the dentists who are hand-selected to suit your needs. Click on the dental office with office hours that suit your needs or with services that make you feel comfortable. Choose a holistic general dentist, an orthodontist, a periodontist, or even a dental surgeon with a simple click. When you do not have access to the internet, our 24-hour dentist hotline is standing by to take your call. A caring agent answers each call and provides you with the information that you need to select a great holistic dentist in Amarillo. This call is completely free and your agent can even set up your first dental appointment for you. Remember to bring your dental insurance card, your photo ID, and your dental copayment with you to your first visit. Arrive at least 15 minutes early in order to fill out the new patient paperwork. The city of Amarillo is a great place to begin a new journey into whole body health. The top three holistic dentists in Amarillo are listed below. Click on the dentist with services or office hours that suit your needs. Description: A desire to help you to achieve your perfect smile is what sets Dr. Fong’s office apart from the usual dental clinic. Using soft tissue lasers, CT cone beams, and Diagnodent technology, Dr. Fong provides top quality cosmetic and restorative dental care in the heart of Texas. This caring and kind dentist is known in the Amarillo area for his naturopathic approach to general dentistry that promotes whole body health. Description: Boosting your confidence by brightening your smile makes Dr. Elser an expert in his field. This general dentist provides a variety of services including cosmetic dentistry, TMJ treatment, and laser dentistry in a caring setting. With sedation dentistry services, overhead televisions, a coffee or wine bar, and a large library of movies and music, Dr. Elser makes each dental visit a pleasure. Description: This caring group of six excellent dentists make the Dental Group of Amarillo a favorite in the state of Texas. From mercury-free fillings to routine dental cleanings, this dental clinic provides a large variety of services in a single office location. Treating children, teens, and adults means that the Dental Group of Amarillo is a great choice for the entire family. Choosing a holistic dentist in Amarillo means taking control of the products that are used to fill your teeth or perform your x-rays. This type of dental service is perfect for anyone who wants to work on the health of their entire body. You do not have to begin your dental journey over when you select a holistic dentist, but there are some major differences between holistic dentists and standard general dentists. Holistic dentists provide alternative treatments like mercury-free fillings and low radiation x-rays to help patients feel better. The Texas Dental Association is a great place to begin researching your new Amarillo holistic dentist. 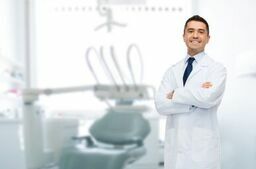 This website has a search box that allows you to enter your dentist’s name so that you can view the most recent licensing and credentials. You can also view your new dentist’s licensing by visiting his or her office prior to your dental appointment. Speak with the dental receptionist to learn more about your dentist’s current licensing.